The biggest problem was the audio...seemed to cut out the last few seconds of chapters, and the pauses between sections were off. That said, Bourdain does an excellent job telling his story, and I really enjoyed listening to him bring his words to life. Threadbare has not had a very good time of it recently. His little girl has been taken from him, and he must travel the kingdom, finding allies old and new, living and dead, to help him rescue Celia. Fortunately, he's got a voice now and access to all those fun skills he couldn't before use. He may only be a very small teddy bear, but he's got the persistence to plow through dungeons of rascally raccoon monsters, the wiles to turn a town full of undead on its ear, and the sanity to survive an encounter with a mediocre old one. Another fantastic entry to the series! 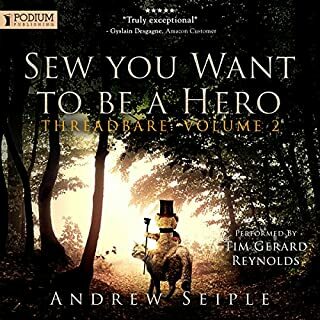 a great continuation of the story of Threadbear and his friends. more characters added, more jokes and sly references, and more character development (and not just in stats). fantastic story, and the narrator brings it to life . it was great to revisit the characters again, and start the journey all over again! I gave this book 2 hours...but it just couldn't get me into the story or into the narration. reccomend you try the narration sample before you by...the narrator isn't bad, but combined with the story, it was just lacking. Excellent performance by the entire cast. as always, Gaimen crafted a memorizing tale that is at once familiar and enchantingly unique in its telling. I don't usually care for the full cast performances, but it is done exceedingly well here and suits the story perfectly. It's a rather short listen at just over an hour (it's one of his short stories, which are always fantastic literary snacks for the hungry mind) but well worth the money or credit. A clever reworking of a classic story. 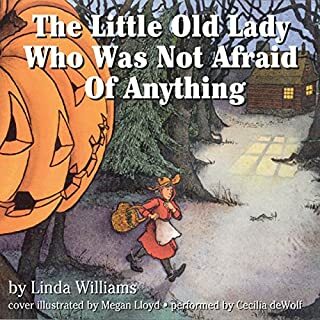 The little old lady's fearless attitude and her clever solution as to what to do with the lively shoes, pants, shirt and pumpkin head that are chasing her will enchant young audiences. With brilliantly colored, detailed folk art illustrations. A fun and delightful story! 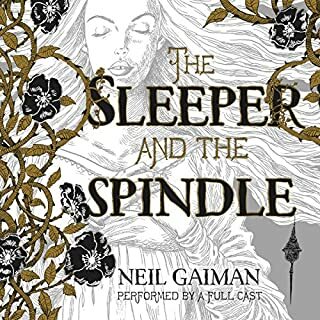 Where does The Little Old Lady Who Was Not Afraid of Anything rank among all the audiobooks you’ve listened to so far? What was one of the most memorable moments of The Little Old Lady Who Was Not Afraid of Anything? Anytime the pumpkin head goes "Boo! "...the narrator does a great job with voic acting for this story. What does Cecelia DeWolf bring to the story that you wouldn’t experience if you just read the book? She reminds me of a favorite librarian reading a story at story hour at the library...she seems to enjoy reading/telling the story as much as my kids love listening and acting along with it! My kiddos laugh and laugh and laugh with the story. In recent years, scientists have hypothesized life-forms that can only be called "weird": organisms that live off acid rather than water, microbes that thrive at temperatures and pressure levels so extreme that their cellular structures should break down, perhaps even organisms that reproduce without DNA. Some of these strange life-forms, unrelated to all life we know, might be nearby: on rock surfaces in the American southwest, hydrothermal vents on the ocean floor, or even in our own bodies. Some, stranger still, might live in Martian permafrost, swim in the dark oceans of Jupiter's moons, or survive in the exotic ices on comets. Fantastic book, with a great deal of interesting scientific information and topics. It doesn't really go into very much depth, but keeps things moving along at an interesting pace. 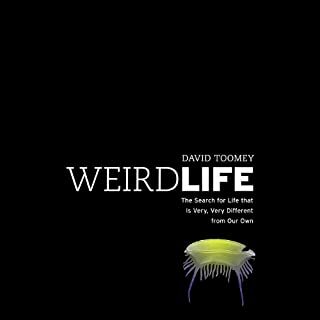 Listening to it, it is easy to get lost in the interesting world of the bizarre creatures from our planet (and beyond...? ), and the narrator does a FANTASTIC job. Overall, the book doesn't get bogged down with overly scientific and professional speech and information, which does mean some topics are not as in depth as I would have liked...however, it does a great job covering a wide range of interests, explains things in a simple to understand manner, and keeps your interest. The narrator adds a lot of life to what could have otherwise been a very dry read, and its a great jumping off point to expand your interest into a variety of other areas. The humor and easy to follow/understand explanations of what could have been rather confusing or technical scientific information. 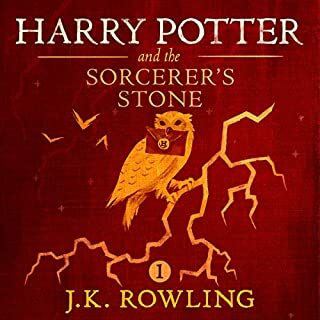 Outstanding narrator, and perfect for these types of audio books. 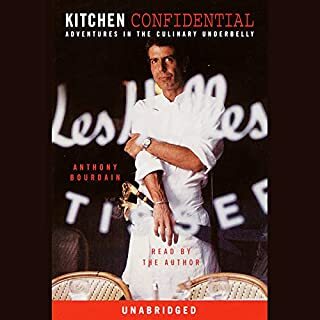 This audiobook reminds me a lot of the History Channel series "The Universe" - the same way complicated ideas and concepts are explained with clever analogies, clear language and humor is echo'd here in this book. If you enjoy one, you will surely enjoy the other. 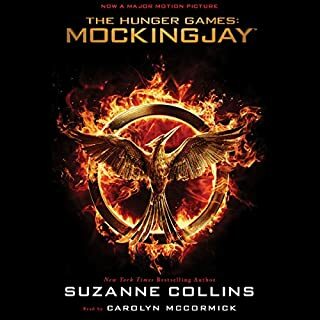 Where does Mockingjay rank among all the audiobooks you’ve listened to so far? 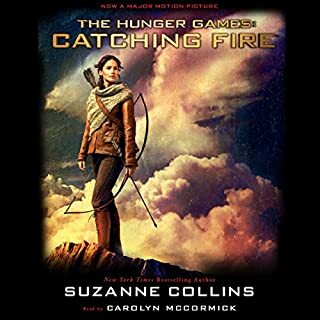 Right up at the top - the entire hunger games audiobooks series is excellent, and is how I got my non-reading husband into listening to books on car trips. Katniss! Especailly in this book, I think the author did a great job of making her a realistic character, giving her strengths and flaws, and making her ending (and her actions throughout the book) realistic and memorable. I know some people have complained about the third book and the ending, feeling as if the character of Katniss is weak or too different from how she is portrayed in the first book. However, me and my husband had a different interpretation. At this point in the novel series, Katniss has been through a lot, seen a lot, and lost a lot. I think the author does an excellent job capturing in Katniss what we both immediately recognized as PTSD symptoms. (We are both active duty military) And this is realistic: going through battle, experiancing war, can do this to a person, and it changes them. Katniss is not the same character from the first book, but it isn't her being weak - her battle within herself, overcoming PTSD, continuing to live, fight, and try to be okay - is the strongest thing we could ever ask her to be. The author does an excellent job capturing this realness in Katniss, and the end of the book (without any spoilers) was poignant, painfully real, and brought a tear to my eye. Excellent, excellent ending to an amazing series. What did you love best about Catching Fire? Again, great characterization, and plot. The descriptions of the game are by far and away my favorites. What was one of the most memorable moments of Catching Fire? Continues the story line, and does end on a cliff hanger. I immediately started the third book once this one was complete. 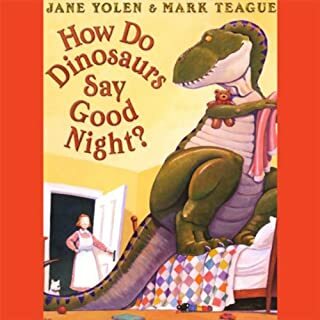 Would you listen to How Do Dinosaurs Say Goodnight? again? Why? We listen to HDDSGN almost every evening that I don't read the book itself. 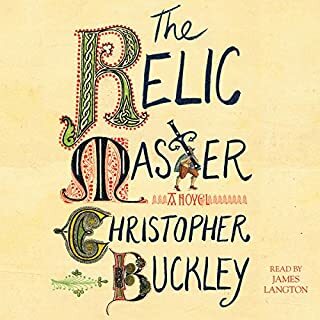 There is a lot of musical accompaniment to this audio book, so its not a "fall asleep listening to this" book, but still an excellent book before bedtime. Always makes me smile, and my boy loves it.